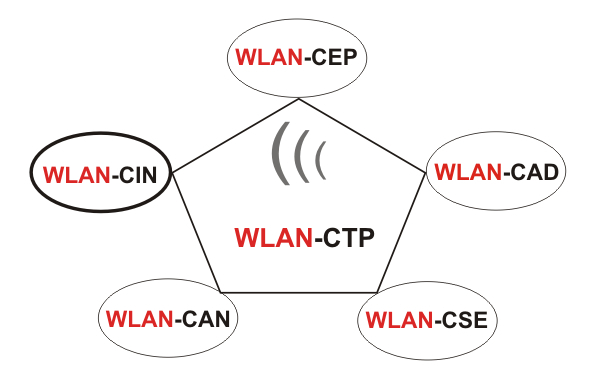 The Wireless LAN certified integration (WLAN-CIN) makes a closer inspection of continuative service, such as voice, video streaming, multimedia based on the 802.11e standard, network management, intrusion protection systems (IPS) solutions and based on the 802.11i standard, such as 802.11n, WLAN switches of various vendors possible. The installation, configuration and application of analysis tool from market leading vendors is also observed. The main attention with this qualification lies in the numerous praxisrelevant labs. The equipment of numerous well known vendors are placed for practice at the participants disposal. The participant gains the advantage, that he can implement, analyse, plan and use solutions of variable vendors in a heterogene environment without problems.